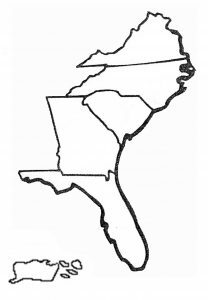 The Southeastern Chapter consists of (most of) Virginia, North Carolina, South Carolina, Georgia, Florida and some parts of the Caribbean. The Southeastern Chapter makes up EASA Region 2 in its entirety, a distinction that we share only with our sister chapter Southwestern, which forms International Region 6. The Electrical Apparatus Service Association began its life in 1933 when, under the leadership of a group of electrical repair firms from Charlotte, North Carolina, 23 firms from 8 Southeastern States met to form the NISA. The NISA was later reformed into the Electrical Apparatus Service Association. Twelve representatives from the Southeastern Chapter have served EASA as President or Chairman, and we are proud of the important role that we played in this organization’s foundation and growth.